If you are a regular reader here, you probably know it’s grillin’ time in Texas. We have already wheeled out the Weber for some smokin’ action, and yesterday we tried a new product: Nolan Ryan’s All-Beef Smoked Sausage. For those of you who are not from Texas, or who are not familiar with baseball – Nolan Ryan is a Hall of Fame pitcher who worked for four different teams during his career. “The Ryan Express” was a pitcher for the New York Mets, the California Angels, the Houston Astros and the Texas Rangers, and he threw seven no-hitters, more than any other pitcher in baseball history. 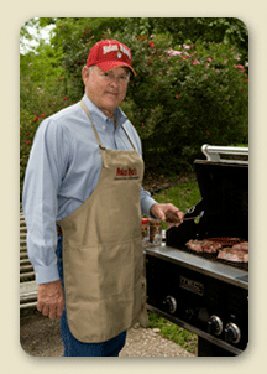 He’s also a part owner and CEO of the Texas Rangers ball club, and a businessman who has his own line of beef products. Including Nolan Ryan’s All-Beef Smoked Sausage. You know we’re big fans of Earl Campbell’s Hot Links, but we thought we’d give Nolan’s product a test run on this first full week of the 2011 baseball season. We like Earl’s sausage because it’s meaty and has a slightly spicy kick that makes it good to eat even without barbecue sauce. Nolan’s product doesn’t plump when heated like Earl’s does, but it has an edge on taste and seems denser to the bite. Perhaps it’s the ingredients: Earl Campbell’s sausage has chicken, beef and pork while Nolan Ryan’s claims to be 100 percent beef. I bought the “Hot and Spicy” style of sausage but it didn’t seem all that hot and/or spicy, at least not like Earl’s sausage. I’m probably going to buy Nolan Ryan’s All-Beef Smoked Sausage again – it’s readily available at the supermarket where I shop the most (that would be Kroger) and I’m already a fan of his frozen slider burgers. The price is similar between the two products, but I got the Nolan Ryan sausage on a store discount so that gives the pitcher another edge. 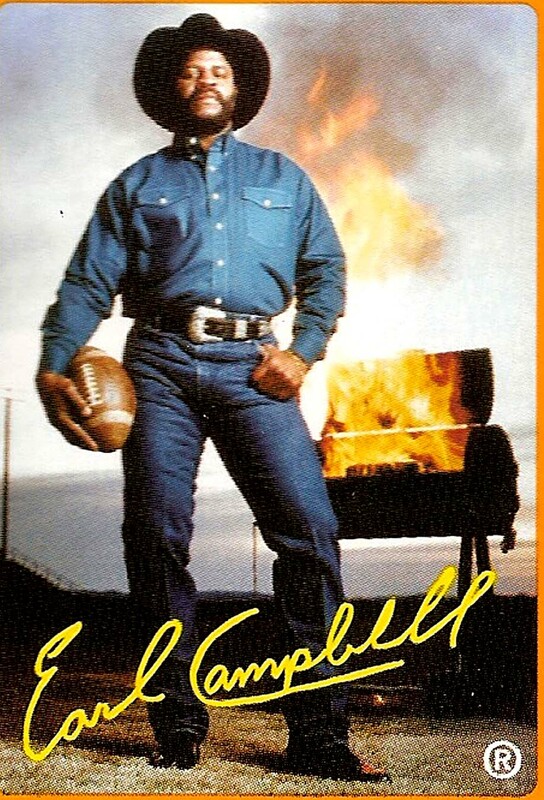 But I’m gonna also buy Earl Campbell’s Hot Links again as well, because I have a history with the Tyler Rose (I saw one of his greatest games in person) and his meat products are pretty good. And another thing, which has nothing to do with sausage: for a legend, Nolan Ryan is a truly nice guy. The few times I’ve come into contact with him, he’s been cool and down-to-earth. If the Houston Astros can’t go to the World Series this year (don’t hold your breath), I’m going to totally secondarily root for the Texas Rangers to get there again. Thanks, Nolan Ryan! You are currently browsing the archives for the BBQ category.